Rachael Ray has accrued a loyal following during her time on Food Network, and as such, her fans' reaction to certain recipes speak volumes. 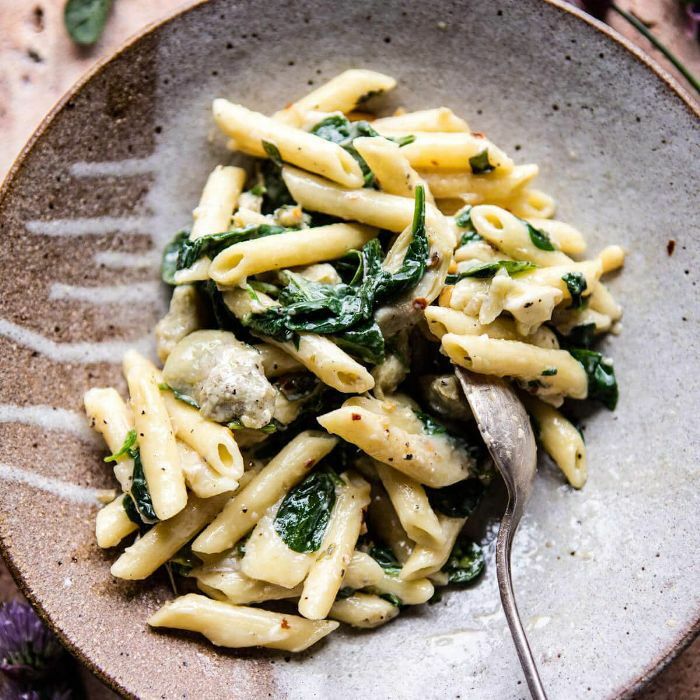 For example, Ray recently shared her famous spinach and artichoke mac and cheese on Facebook, and it immediately sparked nearly 2000 likes, 300 comments, and almost 2000 shares. Many Facebook users have actually made the recipe themselves, confirming that it's just as delicious and easy to make as it sounds. Whether you're in need of some end-of-winter comfort food or simply want to join two of your favorite foods together into one delicious dish, this recipe is a must-try. To make the base sauce, bring cream, garlic clove, and mustard to a low boil, and simmer five minutes to thicken. Remove garlic clove and add in cheese; stir to melt. Add spinach and artichokes to cheese sauce, add pasta, and stir to combine. Place in a casserole dish. Melt butter in a small pot over medium heat, swirl butter with minced garlic a minute or two and toss with bread crumbs to moisten. Combine with cheese and parsley, and then sprinkle over casserole. Bake the mac until brown and bubbly, and serve.